Welcome to our new staff member Khalid! 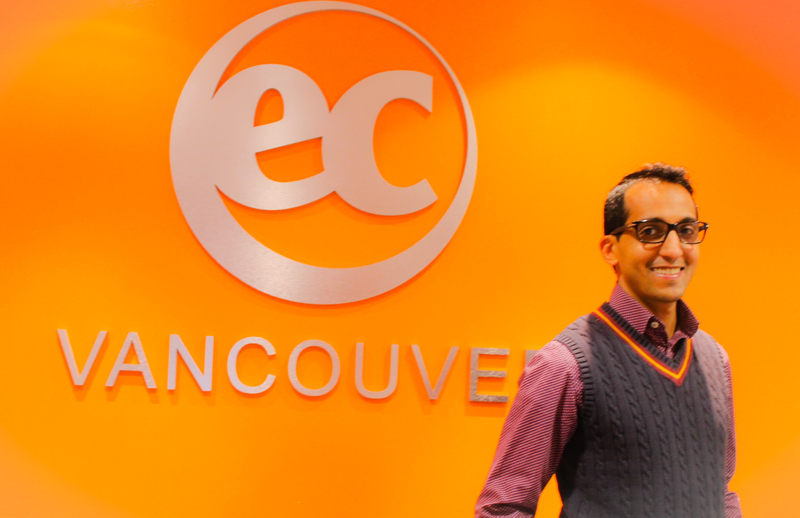 We are proud to introduce you to Khalid, EC Vancouver’s new student counsellor. My name is Khalid, I am originally from Saudi Arabia, I have been living in Vancouver since 2006, and I graduated with a Diploma in Audio Engineering and Sound Production. I have worked in the technology support team in a big company in the past. Here in Vancouver I worked at a major telecommunication company and at another ESL school where I gained a lot of experience and had a lot of fun. I enjoy working in the ESL filed where I get to meet people from all over the world in one place, what’s better than that? I once was new to Vancouver so I understand the cultural differences and difficulties that newcomers might come across. Please feel free to ask me anything!